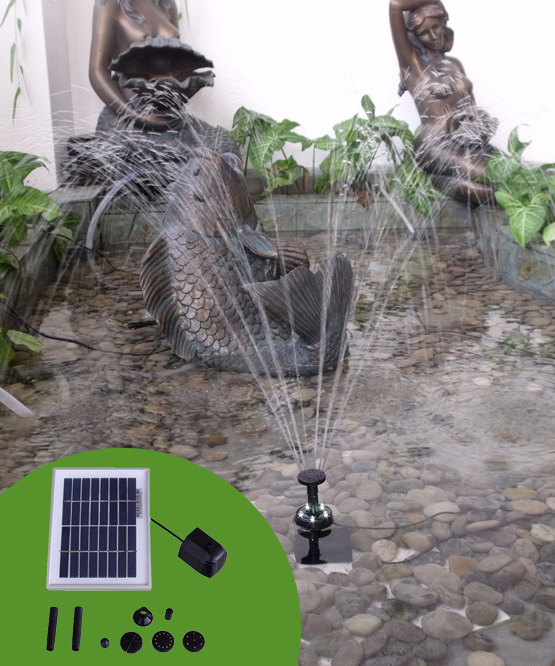 The 1.3 Watt Solar Pump and Solar Panel Kit with 20" Lift is perfect a great way to add smalll water features in your outdoor living spaces or to retrofit small fountains. Easy to install, it operates in virtually any water feature you want to create including existing ponds to add fountain features or oxygen. It's also a great pump for you to create you own water feature. It's able to pump or circulate 50 gallons per hour and create a fountain of water 18 inches high, or up to to 20 inches of hydraulic pressure if used to move water via a hose/conduit. A 16-foot cable lets you set the solar panel up to 16 feet away from the pump, which lets you place the pump where you need and and the solar panel where it will get the most sun. The long cord also lets you "hide" the solar panel in a sunny place if you chose to do so. Other people prefer to "hide" the solar panel. Either way: no electrical cords, no transformers, no plumbing and no need to worry about a higher utility bill. 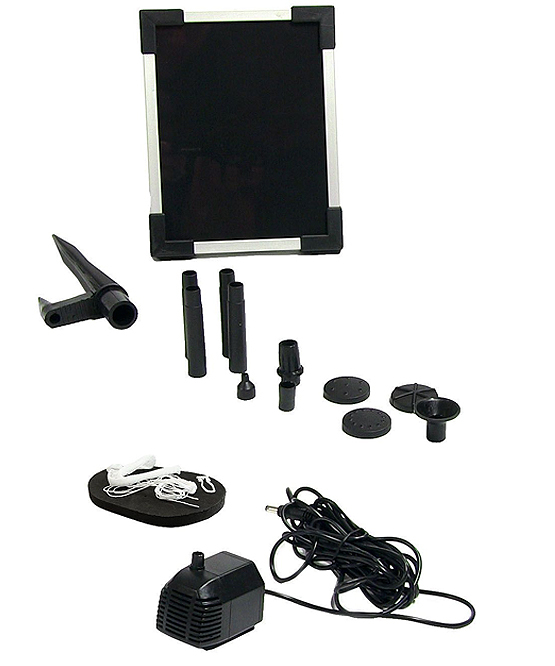 Everything you need to create a water feature in your garden is included in this kit. The fountain head has 8 spray head options, so lots of choices on how to use this pump.